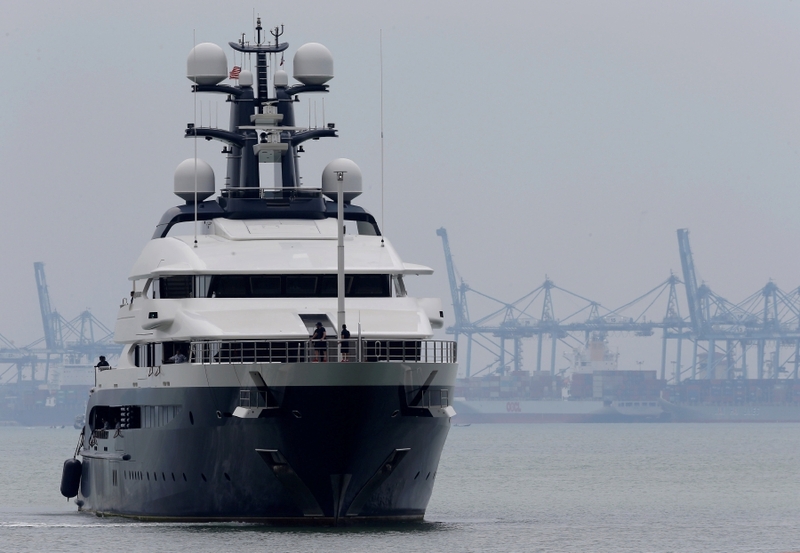 PORT KLANG: Equanimity’s 20-hour journey to the Boustead Cruise Centre, here, from Indonesia was heavily escorted by three Malaysian marine police patrol boats and a KD Jebat warship. 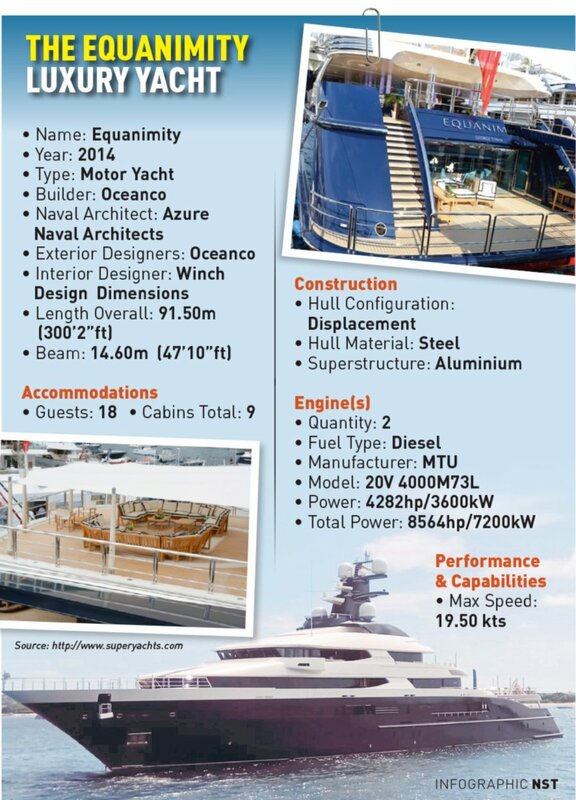 The super yacht believed to be valued at US$250 million (RM1 billion) is said to be linked to fugitive Malaysian businessman Low Taek Jho or Jho Low. 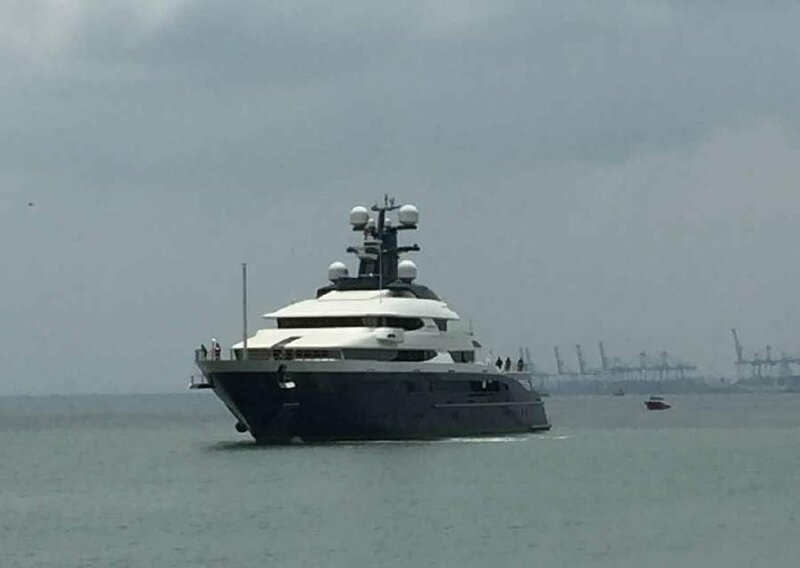 The yacht, also claimed as having links to 1Malaysia Development Berhad (1MDB), docked at the centre’s jetty at about 1pm. 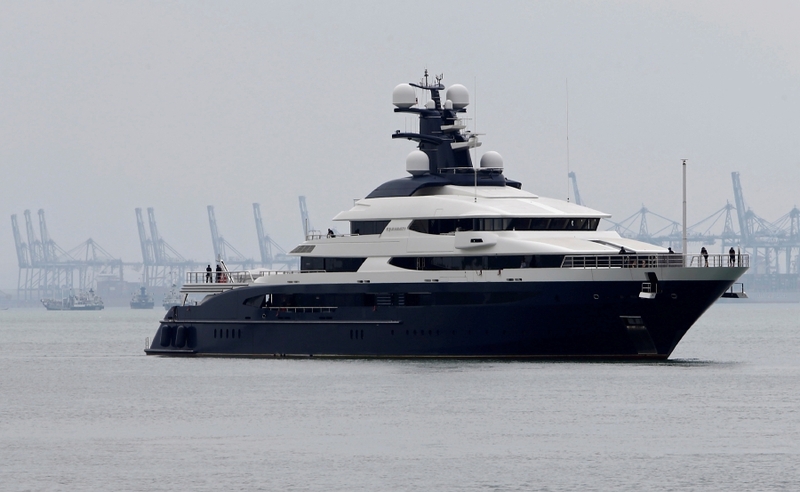 While the super yacht made its way to the jetty, several officers and personnel from the Attorney-General’s (AG) office and navy officers were seen walking towards the jetty. It is believed that upon docking, the officers would board the luxury yacht to conduct a series of inspection before having a meeting with the ship’s crew members later. Prime Minister Tun Dr Mahathir Mohamad is expected to visit the Equanimity in a couple of days. 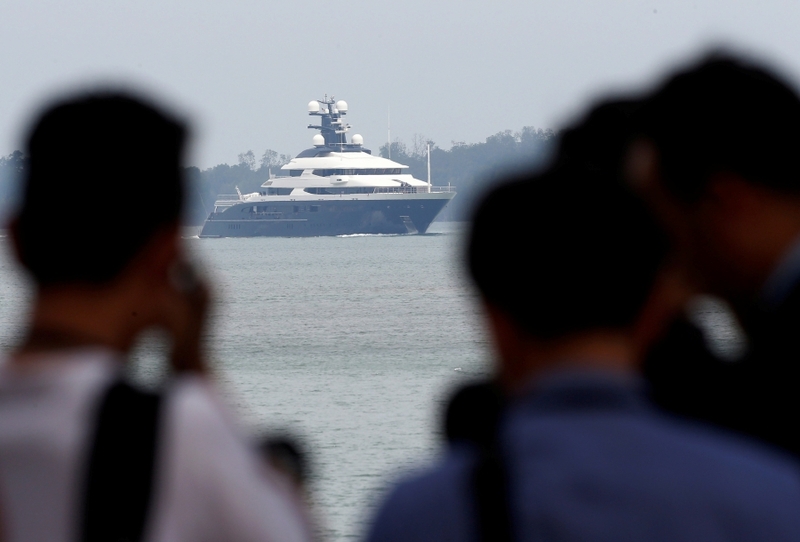 The yacht was first seized by Indonesian authorities at the request of the United States’ (US) Department of Justice (DoJ) as part of an investigation in relation to the 1MDB scandal. Yesterday, Dr Mahathir had on Facebook, thanked Indonesian president Joko Widodo and the Indonesian authorities for handing over the vessel. This entry was posted on Tuesday, August 7th, 2018 at 4:25 pm	and is filed under General Topics. You can follow any responses to this entry through the RSS 2.0 feed. Both comments and pings are currently closed.